American Express has replaced its Blue Cash card with two new ones. This one has no annual fee but lesser rewards. The Blue Cash Everyday Card from American Express Is For: People who want to earn cash rewards on their credit card purchases. Higher rewards earned on "everyday" purchases. 12.99 to 21.99% after that, depending on your credit history. Late payment fee: Up to $37. Returned payment fee: Up to $37. Balance transfer fee: $5 or 3% of balance. Cash advance fee: $5 or 3% of the advance. Over the limit fee: None. American Express has revamped its Blue Cash card, in two varieties. This version has no annual fee but has less generous rewards than the Blue Cash Preferred Card, which has a $75 annual fee. The original Blue Card, which Amex is no longer marketing, had several flaws, not least of which was deceptive advertising. The card's ads proclaimed you can "earn up to 5% cash back" with the card, but the reality is you don't earn the 5% until you spend at least $6,500 on the card, and only then on gas and groceries. You also have to wait a full year before you get your reward, in the form of a statement credit. Amex has fixed most of those problems with these two new Blue cards. 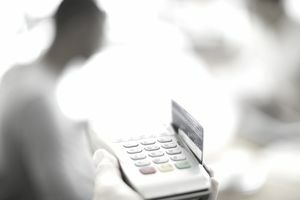 There are several key differences between this card and Blue Cash Preferred. You earn only 3% at supermarkets (excluding superstores and warehouse clubs), 2% at gas stations and department stores, and 1% on all other purchases, with no limit, compared to 6%-3%-1%, respectively, on the Preferred card. The initial spending bonus is $100 on this card, while the Preferred rewards $150 for with the same spending requirements. Rewards redemptions are the same for both cards. As soon as you earn $25 in rewards, you can redeem them for statement credits, although Amex says you can redeem them for merchandise and gift cards, at Amex's discretion. APRs on both cards are also the same: 0% on purchases and balance transfers for the first 15 months, then 12.99 to 21.99%, also depending on your credit. The Preferred version is clearly the better of the two new Blue Cash cards, at least for the first year, considering the $150 bonus you can earn. After that, it really depends on your spending habits and your willingness to pay an annual fee. You certainly can earn a lot more with the Preferred card than with this one. Either card is a big improvement from the original Blue Cash card. Learn more about close ended credit. Last updated October 22, 2014. Credit card terms and sign-up bonuses are subject to change from the time of this review. Refer to the application for current terms and conditions.